Sites for students, parents, and educators. California Association for the Gifted (CAG) - A mission-driven, volunteer administered, non-profit organization whose membership of parents and educators work to promote the welfare and appropriate education of gifted students. National Association for Gifted Children (NAGC) - An advocacy group consisting of parents, professional educators, and affiliate groups from the various states to support gifted education at the national level. 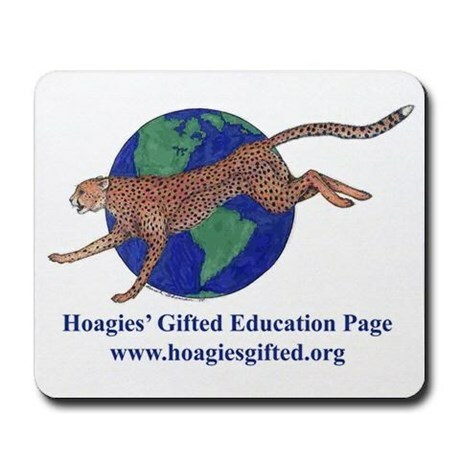 Hoagies' Gifted Education Page - Hoagies provides a comprehensive list of international and U.S. education resources. Supporting the Emotional Needs of the Gifted (SENG) - The mission of SENG is to improve the quality of life for gifted individuals so that they might appreciate, understand, and enjoy the intellectual and emotional talents they possess and the possibilities that lie within themselves. The World Council for Gifted and Talented Children (WCGTC) - A non-profit organization that provides advocacy and support for gifted children. It is a diverse organization networking the globe with an active membership of educators, scholars, researchers, and parents. At certain places on this Orange County Council for Gifted and Talented Education (OCC GATE) Internet site, references or links to other Internet web addresses are provided. Such references or links contain information created, published, maintained, or otherwise posted by institutions or organizations independent of OCC GATE. OCC GATE does not endorse, approve, certify, or control these references or links and does not guarantee the accuracy, completeness, efficacy, timeliness, or correct sequencing of such references or links. Use of any information obtained from such sources is voluntary, and reliance on it should be undertaken after an independent review of its accuracy, completeness, efficacy, and timeliness. Reference to any specific commercial product, process or service by trade name, manufacturer, or otherwise does not constitute or imply endorsement, recommendation, or favoring by OCC GATE. OCC GATE's mission is to provide useful, accurate, and non-offensive information to all that may access its webpages. Should information to the contrary be found, please notify our webmaster immediately.